This collection of short films features some of the world's biggest actors. Judi Dench is a neophyte in the complicated landscape of internet dating in "Friend Request Pending." Colin Firth is Keira Knightley's unusually needy neighbor in "Steve." Lily Tomlin gets lost on her way to a funeral in "Procession." Jason Alexander is a screenwriter at the end of his rope in the musical short "Not Your Time." 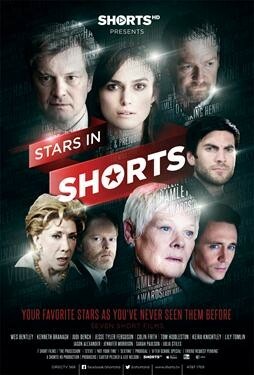 Additional short films feature Kenneth Branagh, Julia Stiles, Sarah Paulson and Jesse Tyler Ferguson among others.